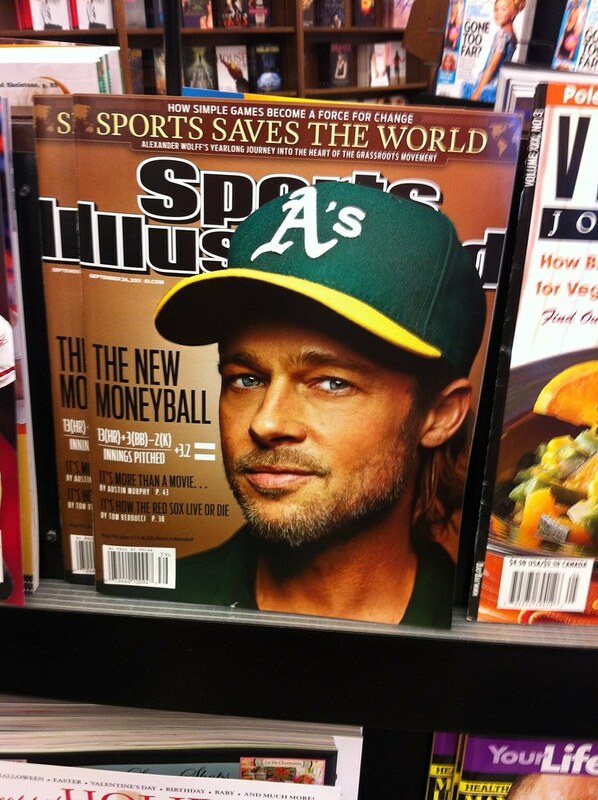 When Moneyball was published in 2003, it was something of a phenomenon. The book, ostensibly about a baseball team’s efforts to compete in spite of more limited financial resources, was in fact a vehicle for evidence based decision making and the opportunities inherent in market inefficiences. There were a few clubs at the time like the Oakland A’s, clubs that approached the game and more specifically evaluation analytically. At the most basic level, these progressive organizations sought to identify metrics that actually reflected performance, and of that subset, which might be undervalued by the market. Find things that matter but are underappreicated: a concept simple to describe, and yet one that – with the odd historical exception like Branch Rickey – took over a century to see widespread adoption in the sport. Whether from Moneyball’s stay on the bestseller lists, the movie that inevitably followed, or the author Michael Lewis’ popularity on the speaking circuit, the thesis the book articulated graduated from unique insight to borderline cliché as truly successful business ideas have a tendency to do – see Exhibit A, The Innovator’s Dilemma. The history described by Moneyball is thus widely circulated at this point, even for non-baseball fans, because Lewis’ narrative skill turned the A’s into an example for businesses outside of Major League Baseball to follow. The book may have described the transformation of a sport, but its real impact was broader and felt within boardrooms the world over. Moneyball was fifteen years ago, however. What has happened to the sport since? How has the analytical approach embraced by the A’s in Moneyball impacted the game more broadly? The short answer is that the trends described have utterly transformed baseball, likely permanently. Where analytical front offices like the A’s were once the exception, today they are the rule. While they may vary by degrees, every current front office is to some extent run by numbers. This industry-wide embrace of analytics has dramatically improved the efficiency with which baseball teams are operated, but has come with consequences – some intended, some not. One of the more interesting unintended consequences is the degree to which the central role of analytics within the game today, ironically, has made it more difficult for pioneers like the A’s to remain competitive. When Oakland was one of a few select clubs able to identify undervalued talents, that represented a competitive advantage. In a market in which every club is operated analytically, the market is more efficient which means there are fewer and fewer mistakes made and thus bargains to be found. There is a parity in the way that baseball teams are run today, one that makes it more and more difficult for teams to compete with one another asymmetrically. Which is a similar situation in many respects to what the technology world is experiencing at present. At one point, tech companies were in a position to better understand the importance of developers than non-technical industries (with the possible exception of financial services), and thus valued them more appropriately, which is to say highly. 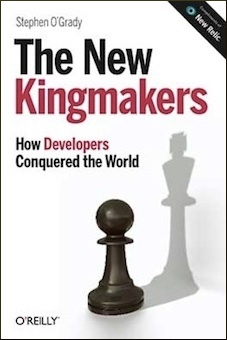 In a world in which Software is Eating the World, however, developers are more important as Kingmakers every day. Every business that doesn’t want to be Blockbuster to a competitor’s Netflix – every business, in other words – understands this. If developers are more properly valued industry-wide, then, how do organizations outperform their competitors in attracting and retaining developer talent? The answer is that it’s harder. When you’re the only company with free food, ping pong tables and a kegerator at the office, it’s easy to differentiate yourself from a hiring perspective. When those benefits become standard, or are countered with even higher quality and more difficult to replicate perks, developer recruitment becomes challenging. Fortunately, baseball isn’t out of lessons for other industries. Much as businesses once looked to the Moneyball A’s for insights on how to run themselves more efficiently, sports teams still have much to teach us. If we assume that the post-Moneyball era is characterized by a more efficient market for player evaluation and acquisition, for example, the logical question to ask is how do teams improve themselves if they can’t acquire better players? The simplest approach is to make the ones they have better. To this end, clubs have taken to creative approaches in maximizing the performance of their athletes. The San Francisco Giants have used analytics to select and optimize the staff that coaches the players. The Chicago Cubs created a mental skills program in an attempt to give players a mental edge. And my own Boston Red Sox are one of several clubs that have targeted sleep as a potential area of performance improvement. Nor is baseball the only sport turning over every stone analytically in an attempt to eke out even marginal performance advantages. Research from FiveThirtyEight, for example, shows that NBA teams are rethinking workloads and resting players earlier and more often than in years past in an attempt to keep them healthy and improve their performance. What might some of the equivalents be in the technology world? In a market in which it’s difficult to compete on the basis of job perks, rethinking the hiring process itself is a clear area of opportunity. For one, technical interviewing is already fundamentally broken. Even the companies for whom hiring is a priority and whose investments reflect that are mediocre, at best, at talent identification, let alone acquisition. Nor is it clear what makes for a good interview: how do you accurately measure and project talent at scale? Do you even know what you’re looking for? Worse, the process is stressful and unpleasant for participants. In which case, why not try and differentiate yourself as Honeycomb has done by building a hiring process from scratch, one that empathizes with its subjects rather than treating them as lab rats to be measured. It may or may not work, and it might not scale, but it’s likely to be an advantage in hiring. Training improvements are another obvious area. There’s a reason that so many of Pivotal’s most successful clients rave about the “Pivotal Way,” to the point that some sound like religious converts. One of the problems that many traditional enterprises have is not pure technology, but people: how do they take their existing software development organization and make them current, or something close? With its emphasis on pair programming and developer friendly facilities, Pivotal’s able to take a developer by the hand and walk them into a world of modern software development. For many enterprises, that’s far more valuable than any software SKU. Once the talent is in house, the next challenge is retention. While there are many factors associated with retention, having a sustainable work/life balance is important to many technology professionals. In a survey PagerDuty conducted, for example, around one in four respondents reported “they are more likely to look for a new job as a result of poor work-life balance.” Yet most efforts at establishing and maintaining an appropriate work/life balance are qualitative and policy-based, and therefore difficult to scale. Given the wealth of metrics enterprises have at their disposal, why not try and measure not only the performance of applications, but the employees running them, and their health and happiness? This is one of the major goals of PagerDuty’s Operational Health Management offering: put telemetry to work to measure, track and improve the well being of operators. Executed properly, it’s a win/win: operators can have unsustainable workloads proactively identified and redistributed before they burn out, and employers can improve their employee happiness, and thus, potentially, retention. Whatever the particular area of implementation, the lesson is clear. In an increasingly efficient marketplace with more consistent valuation, talent is less and less likely to be won over easily via superficial perks or even compensation. Employers must get creative with their efforts in hiring and retention. In general, efforts that focus on the health and happiness of employees have the potential to pay dividends both in bringing quality talent in house, and improving their performance once they’re aboard. In an industry which tends to focus on pure technology advantages at the expense of so-called softer concerns such as work/life balance, it may seem like focus in these areas is essentially investing at the margins. But in a tighter, more efficicent marketplace, that’s likely where the unrealized and undervalued opportunities lie. Disclosure: PagerDuty and Pivotal are RedMonk clients. Honeycomb is not a client. Nor are, sadly, the Boston Red Sox. That perfectly describes our rationale for building OHMS… it’s high time for employee wellbeing to make measurable fiscal sense!